WORCESTER, Mass. — A man accused of kidnapping a 7-year-old girl and throwing her off a bridge into a Massachusetts lake now faces an upgraded charge of attempted murder. 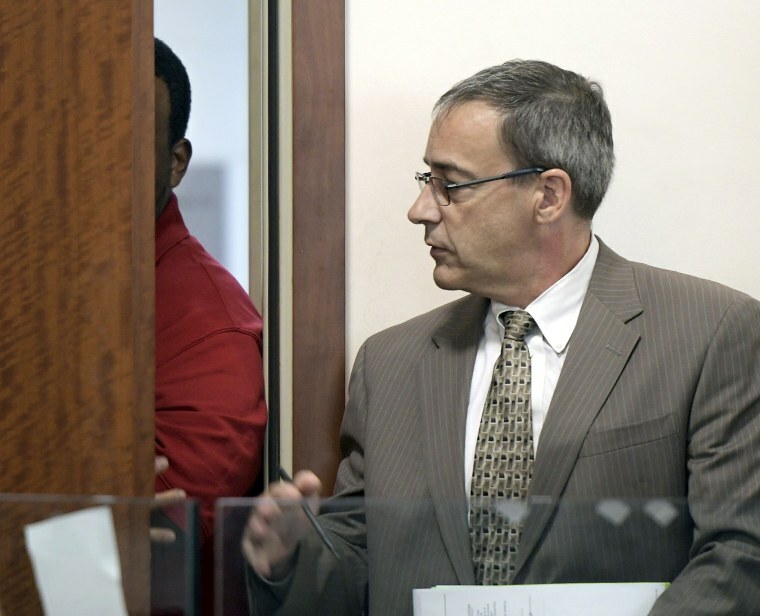 A state judge in Worcester on Thursday set bail at $1 million for Joshua Hubert after a warrant alleging the new charge was issued. Prosecutors and the defense agreed on the bail amount. The 35-year-old Hubert was originally charged with kidnapping. Authorities say Hubert is a family friend who took the girl from her grandparents' Worcester home Sunday morning, choked her and threw her off the Interstate 290 overpass into Lake Quinsigamond. She swam about 100 yards to shore and knocked on the door of a waterfront home in Shrewsbury at 4 a.m.
Hubert's lawyer says his client maintains his innocence. As of Monday, the little girl was recuperating from “visible, but not life-threatening injuries,” the Worcester District Attorney Joseph Early Jr. said. The little girl's ordeal began around 2:30 a.m. Sunday when she was allegedly abducted after a cookout at her grandparents' Worcester home, at which Hubert was a guest. She was sleeping on a couch when Hubert allegedly grabbed her and forced her into his car, a spokesman for the DA’s office said. Hubert drove around with the girl in the car for an hour, at one point stopping to choke the girl, the spokesman said. Then, for reasons still unclear, Hubert allegedly threw the girl over the railing over from a bridge connecting Worcester and Shrewsbury — into Lake Quinsigamond. Police suspect the girl was thrown from the Interstate 290 bridge. She wound up at the good Samaritan's door at 4:30 a.m. Sunday, officials said.